Sloppy snow pools like white slush and I realize this so-called return to winter barks but doesn’t bite. It can’t hide the push of life from the exposed patches of earth. In fact, the heavy moisture feeds the burgeoning life. Yellow-green shoots of new grass blades poke up like stubble from the grit the city snowplows left behind on curbside lawns. Most yards still house sagging snow drifts, pocked and dirty. At least the spring snow adds a dash of freshness. This week, I have two new friends — one a neighbor and the other a long-lost cousin. I’ll call my neighbor Cranky as long as you realize that’s not her disposition. Cranky is delightful. She’s an antique Singer Sewing Machine shop owner and seamstress who specializes in the same era for which I write historical fiction. How is that for neighborhood serendipity? We met right before winter when a stray cat turned up at her house. She stopped by to see if the cat belonged to us. Then, last week she stopped by to see if I’d go walking with her. It’s thrilling to get asked to walk with a neighbor. Except for the walking part! Since winter closed off the rock beaches to me, I’ve not walked much or far. My glutes and calves are feeling the burn from the hilly roads we live on, but it feels good to get outside and observe spring. We spotted two red robins on our walk last night and located the neighborhood murder of crows. We even saw two nuthatches and heard a few unidentified birds. Along one house where the southern exposure to sun melted the snow, we marveled over the spears of daffodils. We plan to walk three days a week and even talked about field trips. Cranky is a real birder, meaning she has expertise in identifying birds whereas I have lots of curiosity. As you can imagine, we have much to discuss about 1860 as we walk. My second friend found me through Ancestry. We connected when he sent a message regarding errors in my tree. It’s a working tree, thus I appreciate any corrections from others. Then he asked about a lost cousin who had red hair and disappeared when she was seven. I realized he was asking about me. It’s stunning that we have found each other all these decades later. I feel more like I’ve found a long-lost brother. Already, he knows me too well which has made me laugh. He’s got a great sense of humor and a big heart. He’s creative and witty and I’m so pleased to get to know him again. With ongoing VA appointments, I’m feeling batty this week. How we can be back to square one with the Hub’s knee is mind-boggling, but here we are asking for yet another orthopedic referral. His primary care doctor is lighting fires, but the system is practiced at snuffing them out. While we don’t have complete answers to the memory tests, we did conclude the Hub has an extraordinary memory. It’s his focus and attention that is suffering. With the onset, we are not ruling out traumatic brain injury. At least we have some validation that there is indeed something screwy with his brain. Considering the ignorance of the military 30 years back, the way Rangers train is similar to American football players. Tough blows made the young man. We are learning more about TBI as these men age. The Hub’s unit never had medical physicals after combat. Instead, they deployed to another hot spot. Today, or at least beginning with the Iraq War, soldiers are examined, and they deploy with psychiatric units. Let me tell you, that makes a difference. Hopefully, the Hub will get what he needs for a better quality of life. With all these scattered thoughts beneath sloppy white stuff, I have one more to add — white-nose syndrome. This deadly disease impacts bats and often they become unseasonably active and die in winter instead of hibernating. In Iron Mountain, where we frequently travel to go to the VA hospital, scientists study the bats at Bat Mine, which is considered one of the most significant hibernating and breeding concentrations in the world. They begin to emerge in late April. Last fall, 47 North Belly Dance Troupe, dedicated a dance to the bats. Before the dance began, they played this creative video as a public service announcement. It includes several of the dancers, and my SIL lends his voice to the narration. The second video shows part of the bat dance. As we move through life, we become aware of those around us — neighbors, environment, family. Awareness opens us up to curiosity and possibility. The more we learn, the more we grow. We are all part of the web of life, a fitting idea as we connect through the playful activity of literary art in constrained form. Each week, I appreciate how diverse the individual stories are, and how they express a deeper meaning in a collection. Yes, we are going to get batty this week. Respond by April 17, 2018. Use the comment section below to share, read and be social. You may leave a link, pingback or story in the comments. By Charli Mills in Flash Fiction Challenge on April 13, 2018 . Ha, ha! I always wanted to drive north in the batmobile! Safe journey and bring back a batty tale, Anne! I’m fascinated and terrified by that “treats them tough to make tough” which I’m afraid I associate with the military all too much. I’m playing with a dystopian novel that takes this to an extreme (or maybe it isn’t the extreme, which is even worse) – but Matilda Windsor is still my nominal WIP from where I’ve taken my batty tale. Perhaps not what you had in mind for the prompt. Anne, I think what can be scary to explore is how little it takes for that “tough-mindedness” to permeate a culture. It fulfills many false beliefs of security to the vulnerable and can be exploited by the cunning. What an interesting dystopia to explore. If you ever want military insights, the Hub could give you many insights. And thank you, it’s been such a joy to reconnect. I’m happy to see Matilda make an appearance. That’s the fun of playing with flash fiction — we can revive characters or explore other opportunities for them. Excellent Charlie. I keep writing scenes thinking “no-one will believe that” but maybe it’s because I don’t want to believe a society can deteriorate into a culture of punishment and paranoia. Thanks for the kind offer of insight into the military, but I’m hoping to be able to dodge that part of it as my main character is only fourteen. Damn! I was waiting to get to the end of my comment and then replace “Excellent Charlie” with “Thanks Charli”, although of course you are extremely worthy of the descriptor. Keep forgetting the second bit!! Hi Di! Use the form below the prompt. That way your story goes into a “bucket” which makes it much easier for me to collect. Thanks! Ah, where do I put my second bit? Left a comment on your blog. Excellent flash! You took me by surprise, Di! Fun play on animal instincts and name-calling! Charli, I remember the first time my younger son pointed out a bat to me when we first moved into our home. I think some live in the over hangs by the creek. I love bats, though I don’t see them often. I can only hope some are still around. I know that the birds eat the bugs, but the bats do too! Phillip Ratsbane knew the Lady’s aversion to all things night. escape over the horizon as easy as pie. cave and find his next clue in order to escape his clutches. cave for her to find. driving some of them insane. After all the bats, at least one of them had saved her. didn’t want remember any of her time with Ratsbane. I’m terrified of mice but I love bats. Go figure because bats are mice with wings. But we had one, Batty, who hung out in our eaves every summer. When we lived in Idaho, we’d stay up on the Pack River late and the bats would swoop around the dogs going after the insects over the water. The dogs would give chase and I’d laugh. If there isn’t a 99-word serial, I think it’s a grand idea to introduce one! And what a terrific serial story, Jules. So imaginative! Ah, we had sunshine today but I had to cancel my walk. This sinus infection I’ve been fighting turned out to be a cracked tooth in my lower jaw and the infection went through my jaw up into my sinuses. Ugh. So I had emergency oral surgery Monday. Not what I expected. Batty. Eek…on any emergency. Hope you are recovering now. The first few days in MA I had a cold….But I couldn’t go out anyway! At least I’m back home now and have my spare sets of readers and distance glasses. But I will end up having to get a new set of bifocals. I love how you found your long lost cousin! And a new walking buddy, no matter how Cranky! I had no choice… my Pops is a cricket freak… my brother played at county level and is now playing for the Finnish national team. My hubby played as a youngster and now my son… cricket is everywhere! Yup definitely a family trait!!! Thanks, Ritu! I’m enjoying my reconnection with my cousin. We are both only children and it fills a lonely hole I’ve had for a long time. Ah, Cranky fell (on the ice!) and I had emergency oral surgery so we are not walking this week. 😦 I’m glad you went with cricket. I have friends from Trinidad who live and breathe the sport! Sounds like your family is greatly involved! Cricket has unintentionally become a bit of a ‘thing’ for my whole family!!! Glad you liked the take! I love the image of ‘bats in the dugout collecting summer rays and warming their metal handles for the next gloved batter. ‘ I can hear the sound of the ball hitting the bat, smell the new mown grass and see the fireflies in jars. Ahhh! You took me away. Beautiful imagery that captures the spirit of an Americana summer! Welcome to Carrot Ranch! Thank you! 🙂 Glad to be here. The only way one can overcome politicians is to know what they are up to… knowledge as powerful as a ball hit by a swinging bat! LOL. Great dialogue and a flash Trump always comes up trumps and batty. You had me snort-laughing, Bill, with your peanut butter and jam pages. This dialog is likely occurring across many households — which crazy bats to watch! I chuckled over this one! That is one cool operator! Great writing, Dan. Great dialogue between carer and his elderly charge that showed appreciated the other. Thank you, Irene. Appreciation takes many forms. Awwe, such a sweet conversation. Such great banter, Frank. The level of appreciation is hidden in their wordplay but easily seen. You fooled me and made me laugh! Love it! LOL. Yes you got me too. Ha ha ha ha ha ha ha. Loved it to bats…I mean bits! They really are cute and useful! 😀 Ended with a cackle and a bang! We had a bat in the house one time. It was at night and I thought I saw a bird fly past me. That’s what gave me the start for my story and the cackle was where the prompt took me. Thanks for stopping by, Liz! Haha…love it! Great story, love the ending…and the title! Wonderful flash Molly! Thank you so much, Sherri. glad you enjoyed it! Never doubt a batty old woman can still outsmart them all. Good one, Molly! That’s what I’m counting on, Charli, as I enter my ‘batty old woman’ phase of life. Haha! I love the vision of the unravelling flying toilet paper. We used to get bats from time to time in the backyars. In the house, dad would just turn all the lights off. Open the front door. and turn on the porch light. He’d still hav to sweep them out off the ceilings. Yes getting a bat out is easier than getting a bird out and much less traumatic. The worst was a squirrel! That is something that is never going to happen in this country. I imagine they could hide so easily and probably bite if cornered. Hey, good of you to swoop in Elliott! Yes, a new collection bucket that helps me gather the flash to publish. You did it just right! A bat-thwarted TPing project and a newfound ability to hit the high notes in your flash! Thanks for sharing the information and videos on bats. The dancers were beautiful. Being raised in the Finger Lakes of NY we loved to see the bats circling, it meant less mosquitos for us to swat. I will be more aware of white-nose disease. It’s so sad that the VA keeps our vets limping in circles. Sure doesn’t make sense to me. Hugs. Thanks, Susan! I like watching the circling bats, too. I’m glad you enjoyed the videos. In the full bat dance, one by one a dancer left the stage until there was only one bat left. It was profound. Your flash made me laugh, especially the last line! Thanks Charli. That particular response was one of the easiest I have written. Fun stuff. Frank Bilotti looked him dead in the eye. “Go to hell” Tommy said, tired but defiant. “Suit your self” said Bilotti. Bilotti walked to the corner of the empty cellar, to a large duffel bag leaning in the corner. He slowly pulled out the end of a wooden bat. “Nah, not that one…” he said aloud. He reached back in and pulled a short aluminum bat. Sounds like a bit of torture is happening here. Now I want to know is he batted out of existence in the batcave or does he spill the beans. Hopefully he doesn’t end up going batty in the process. Wonderful setup. But who did it? Dark happenings in the bat cave! Great use of tension. What an interesting post, Charli. How lovely to meet new neighbours and form new friendships. You raised a couple of questions for me, though: Why is your new friend called Cranky if it doesn’t describe her personality? Why were you lost, to your cousin at least, at age seven? I’m so pleased you’re found. I think you’re quite a find! I enjoyed the videos and was impressed by SIL’s narration. The goal of saving the bats is a good one. I had heard of this horrible white-nose disease before. A couple of years ago, on the recommendation of Patricia Tilton I think, I purchased a lovely picture book by Anna Forrester with illustrations by Susan Detwiler about this problem. The book is called “Bat Count, A Citizen Science Story”. The story explains the effect of the disease on the bat population through the eyes of a family who are involved in the Citizen Science Project, counting the bats. The book also provides information about bats, the disease, and how to become involved in this and other Citizen Science Projects. It’s a great book for anyone interested. Fortunately, our Australian bats are not affected by white-nose syndrome. However, they are affected by other diseases. I enjoyed the peaceful evening of your flash. Sarah seems content listening to the violin as the bats flutter in and out of view. Norah you have taught me something – I thought we did have white nose syndrome as I had some vague memory of a Qld Dept of Ag and Fisheries putting out warnings. I thought it wasn’t the huge problem because our bats don’t hibernate in the same way and our temperatures are much hotter. Lyssovirus was the one they worry about more. However, I’ve discovered that you are right and so far there are no reported cases. We have to be glad about that. LOL. Yes we do have enough dangerous animals Norah. Am I right that scientists have found a way to treat and cure white nose? And some prevention efforts? That’s good news! I had heard some bats were surviving, too and the article addresses that issue. Fruit bats must be amazing to see in a full colony! They are amazing. I was disappointed I couldn’t find one of my own photographs, and didn’t have time to go and take one. Norah, I could have better explained that my Cranky new friend owns an antique Singer Sewing Machine shop called Sew Cranky! I’ll tell you later about my childhood parting with my cousin. I’m glad you liked the SIL’s narration. He’s great with voices. The Citizen Science Project is such a great way to connect people to science and the environment. The picture book you bought sounds interesting in how it involves a family who participates in the project. White-nose syndrome seems like an awful way to go. Although I’m sure there are also other bad bat diseases in existence. Ah! Is that because you used to have to crank up those old machines? My mum had a Singer Sewing Machine that worked with a treadle. The white nose syndrome does sound like an awful way to go. I’d like to just fade away in my sleep – but not for a long time yet. Unique and creative take on the prompt. Enjoyed it! Creative take on the prompt, Christina! Every word speaks to the power of this champion at his height. Meatloaf’s “Bat Out of Hell” is the icing on the cake. Here’s my take on the 99-Word challenge. You always have a batty surprise, Anurag! Your two new friends sound wonderful for you to know. There is nothing quite like having a walking partner that shares interests during the walks – it turns walking into flying. And to find a relative that knew you from years ago – how special. It sounds as though the military have worked out that the way they have treated their vets in the past is not the way to do it. If only they also realised that they could make life better for those vets already not well treated. Hopefully, although the progress seems slow, hopefully it is progress. I love what the dance troupe are doing for BATS and both videos were great. Your SIL did a great job narrating. Bats here also get white nose disease but they get another one which is much worse and is fatal to humans who get bitten by bats. It has made the majority of the population fearful of bats and although protected, much is done to get rid of them from areas. I’m enjoying both my walking partner and long-lost family. Though, as he tells it, I was the one lost. It validates much for me, but I’ll tell you later. My walks are long outdoor talks! Although we had to cancel this week on account I had emergency oral surgery Monday. It’s put a cramp on my week. Guess it wasn’t a sinus infection, after all. Your bats bite? I think US bats only bite humans if rabid, or at least that’s what I believe. Your bats are so amazing, though! I’m glad they are protected. Hope your mouth is repairing. They seem to improve quickly but at the time can be painful as you know. I often say it is toothache when in reality it is sinus so I guess you had it in reverse. They probably only bite if cornered. We rescued one once and we had to take it to a specially trained bat person because of the risks and they were so emphatic that we mustn’t handle it. I’m glad they are protected also and hate that people who live near colonies of them aren’t so pleased and do everything they can to move them to a new location. I wish I had a walking friend like you. I’ll join you when I’m in the area. I love watching birds. I have been feeding House Finch, Mourning Doves, Red Throat hummingbirds, and White Crowned Sparrows. You must have an interesting tree. Congrats on finding a “brother” and a cousin. My SIL also found two cousins and an 84 years old aunt through Ancestry. Very cute story. Cool that a writing prompt not only made you think but turned out to be a great lesson for your grandson! I am sorry! this comment was meant for another story! but I will promptly read yours and comment! sorry again! Any time you want to walk the Keweenaw, Miriam! I think it’s good to have birding friends as not everyone appreciates birds. You have hummingbirds now? I love the little birds! We had Calliope hummingbirds in Idaho and their wings sounded metallic. I love the coo of a Mourning Dove! We never know what we might find on Ancestry! Thanks for your batty story! Thank you, Charli! I was watching the red throat hummingbird all morning. Only the male bird came. I wonder if the female is incubating. I love the coo of mourning doves. It sounds like singing rather than chirping. My SIL may send us all a copy of her discovery and the tree. I had no idea about white bats! How cool! I wonder what you will give us next? Hi Tony, good to see you! Oh, what an episode that must have been! Hadn’t thought of batting eyelids. Glad you went off on a tangent. Wow! That was definitely not one I had thought of but works so well, batting her eyelashes! Hi Charli! Great to hear about your friendly, not_ Cranky, new neighbour! Your walks sound fantastic. Your long lost cousin is also good news, but one day, you’ll have to tell us how you got lost at such a young age. I’m glad the military now have better health treatments and I’m sorry your husband is having to deal with issues that should have been addressed while he was working. Hope that all works out. Nice flash, bats dancing to the music, however Imust admit, I don’t like bats at all, mainly because I’m afraid of them… So is my grandson, who has a present for you on my post! Oh, Lucy, I was so touched by your grandson’s gift! Even if you both are afraid of bats, you worked through the fear and found something to be curious about. Thank you! That last line sends shivers down the spine. Such ominous writing, Kerry! Great action and tension building up to the last line. There is something similar with birds down the chimney. Hello there! 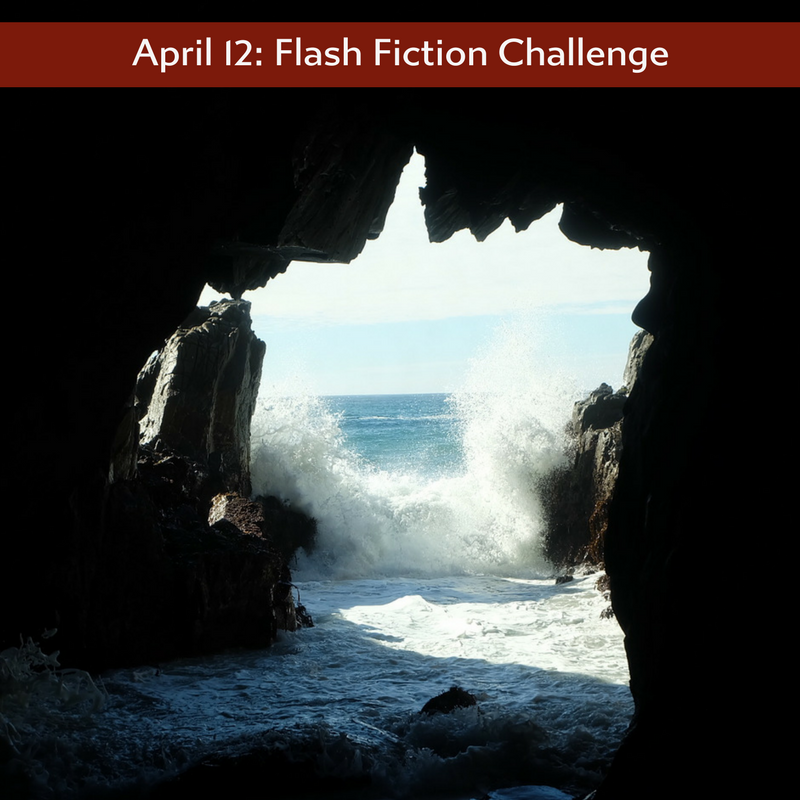 This is my fist time trying your flash fiction challenge. For this prompt I went with (slightly) morbid humor. Glad you could join us, Caitlin! We realized we had a vein of dark humor running through the Ranch the first time we wrote about unicorns! Welcome. I’m a tad late in visits – I was away and then yard work called. Thanks for the visit…We have cheap red over there! You caught that nostalgic vibe just right, Liz. Feeling a bit of longing as I wrote. Grew quite fond of my 4 male housemates, and the new friends I met through them! When inspiration hit, it came up golden, Robbie! Those who do seasonal work must be going batty with this unseasonable weather! Good take on the prompt, D.
Hi everyone. I am having technical difficulties with this response, here’s hoping. These machines drive me batty.I am also being kept busy with family this week, so I apologize for not making the reading rounds. I will try to read and comment later. This response has a picture that goes with it, if you’re interested click on the link. Hi D.! I hope you are focusing on the family, friends, and landscape and that the weather and technology are not driving you batty. Hi Charli, here’s mine on the hoof, or should I say, wing… that kind of week… ! Hi Sherri! Uh-oh, there’s more to this story by Dr. Harper is getting there! Wonder where the body is…lol! Great twist from victim to suspect! What a fright to have a bat in one’s hair, worse, being pregnant and seeing the bat swoop down the stairs. What a story, Paula! Thanks, Charli — another BOTS! Tasheenga’s snooty neighbour, Batty Shirley! Thanks for joining us with a fun batty story, Gloria! Thank you Charli! It’s great writing practice. My entry for the week! Heavy, moody stuff, yet so vivid! Thanks, Kay! And I did get your story. I’m not sure why the form is not showing up. It’s being batty perhaps!